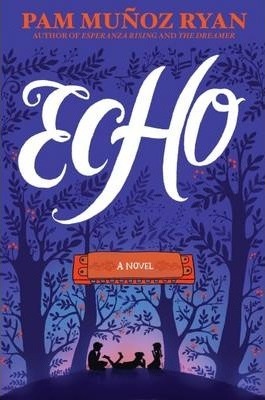 Pam Muñoz Ryan is the recipient of the Newbery Honor Medal and the Kirkus Prize for her New York Times bestselling novel, Echo, as well as the NEA's Human and Civil Rights Award and the Virginia Hamilton Literary Award for multicultural literature for her body of work. She has written more than thirty books for young readers. Her celebrated novels, Echo, Esperanza Rising, The Dreamer, Riding Freedom, Becoming Naomi Léon, and Paint the Wind, have received countless accolades, among them two Pura Belpré Awards, a NAPPA Gold Award, a Jane Addams Children's Book Award, and two Americas Awards. Her acclaimed picture books include Amelia and Eleanor Go for a Ride and When Marian Sang, both illustrated by Brian Selznick, and Tony Baloney, illustrated by Edwin Fotheringham, as well as a beginning reader series featuring Tony Baloney. Ryan lives near San Diego, CA with her family.